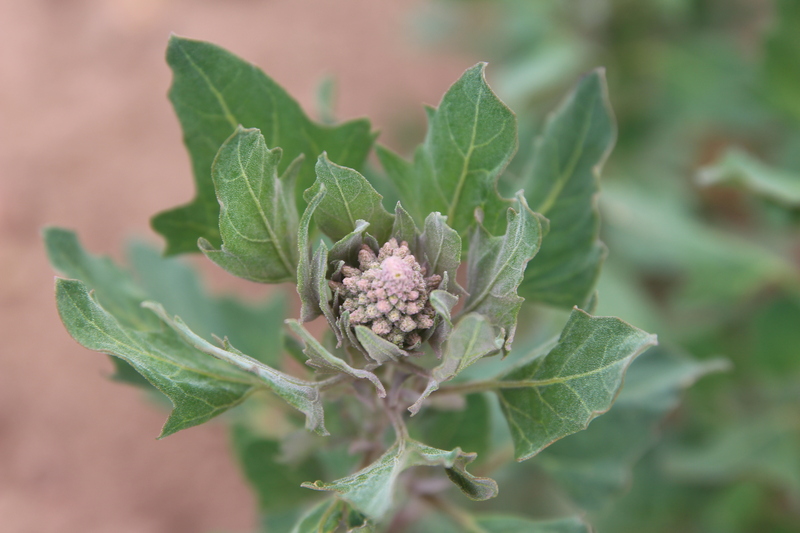 Young quinoa seed head forming in its first 6 weeks of growth. PRODEM, a privately financed bank in Bolivia founded in 1988 to provide financing to medium and small, rural businesses, has the solution. With over 2,600 employees and a network of 54 urban and 69 rural agencies, PRODEM is the finance source that many farmers turn to. Savings accounts in Bolivianos are offered at a 2% annual interest rate. Credit to farmers is offered to producers over the age of 18 who own land and have been commercially farming it for at least one year. PRODEM offers everything from 9 month loans to agriculture wholesale buyers and distributors to a one year loan for farmland development and a 4 year option for farmers to buy equipment with. Though their rates are not published online, farmers tell me they are at 12% – 21% depending on the type of loan, guarantee and term. We’re in Otuyo, the heart of the Royal Quinoa growing lands and despite nearly two weeks of steady, daily rain, many fields lie empty. Some are fallow – the Bolivians follow a strict two-year rotation cycle for farming their delicate altiplano soils. The fallow lands are bare, flat, dirt – the deep furrows that once housed robust quinoa plants are now leveled by the wind, a few dried quinoa stalks lay testament that indeed, there was once production there, not long ago. Large, dark piles of llama manure dot these fields. This will be spread by tractor in the fall (March-April) to organically feed the soil for the spring planting of quinoa in October 2017. Meanwhile other fields with deep furrows also lie vacant – these were prepared with manure and carefully planted in October and November – but drought and winds caused the delicate germinated seeds to wither and die or covered the emerging plants with dirt and also killing them. The mayor of Oruro predicted a month ago that 50% of the quinoa harvest would be lost to drought this year. And while the rains came just in time for some – as quinoa seed heads were just starting to droop – it was not soon enough for many. Some families were out replanting their quinoa, now that the rains were present, hoping to squeeze in a second chance at a decent harvest. Though many others opted not to. It was late in the season they explained, the weather future is so unknown it is hard to make an educated decision for a late planting. Hail and frost can come and kill off the plants too – especially later in the growing season. And who knows how long the rains will last for, they add. This brings family earning levels to almost $4,000. I observed families earning much more than this but these were the ones associated with powerful producer associations and high quality export certified organic and Fair Trade production. 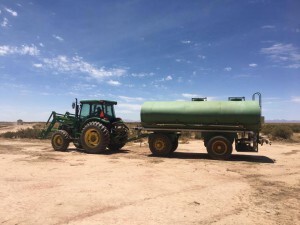 Never-the-less, with relatively high debt load and a bleak agriculture and economic outcome for 2017, I was concerned about what would happen with the loans. I asked the farmers if they had loans, many did. I asked if they were concerned, they were not. I asked why. They explained that the loans were backed by their farmland. The banks had sent out agronomists who assessed and valuated the lands. Legally, the banks cannot take these lands, only use them as guarantees for loans. The farmers are producing on the lands as they had promised, so they see they part of the deal being covered. Loans get paid at harvest time. If they do not have the money to pay the loan at harvest, they explained, then they simply renegotiate terms with the bank. At this rate, it seems that most will be defaulting on their loans to some degree. These are also relatively new loans most just 1 or 2 years old. Most were given just as quinoa prices began to fall and farmers still had vast wealth accumulated from the previous 5-7 years of the quinoa boom and high production/earnings levels. It will be interested to see if the banks are as relaxed with the potential defaults coming in June as the farmers are. What happens to your quinoa before you buy it in the store? 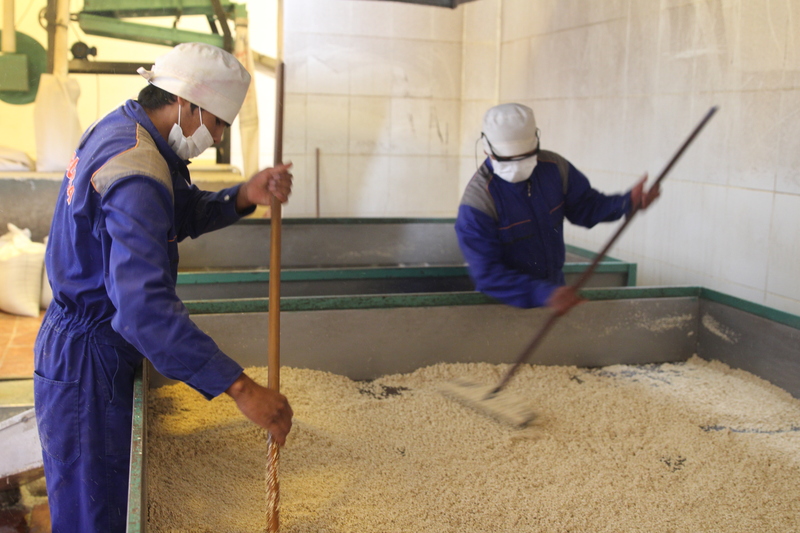 Here’s a photo essay of the quinoa cleaning process that each grain goes through before being shipped to the US. Thanks to farmer-owned, Fair Trade, organic, quinoa farmers association, APQUISA for letting us take and share these photos. 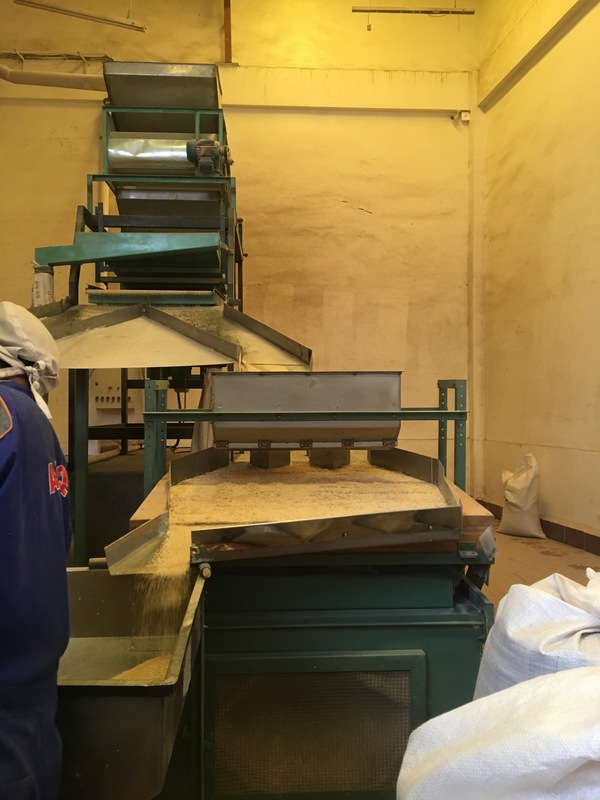 First the grains are harvested, threshed and cleaned on the farm. 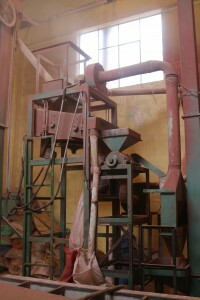 Then the are shipped to an industrialized center for further processing which removes all fine debris, the chaff, and the bitter saponins which protect the plants from insects and birds. Raw quinoa seed comes in and has their chaff removed. This bitter shell contains most of the saponins found in the quinoa. This batch has a white seed in a red shell. The chaff dusk colors the room a rosy color. The removed chaff can then be used as compost on the quinoa lands. Quinoa washing stage. 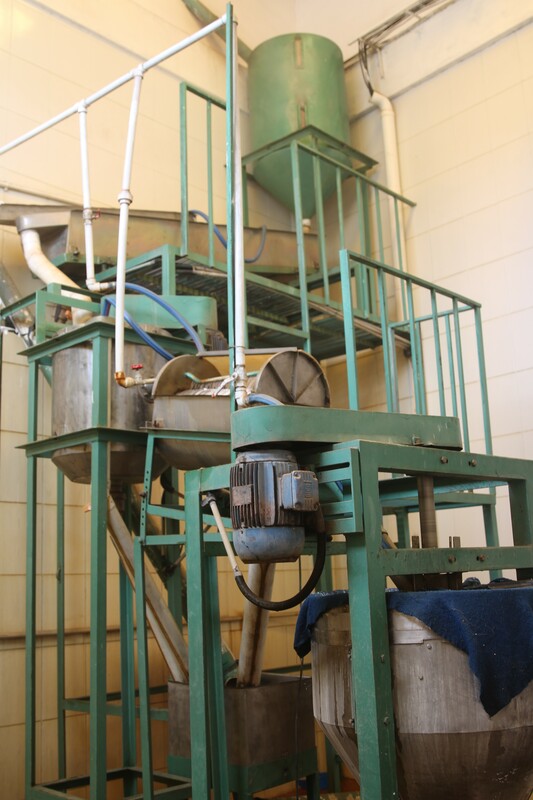 Here the threshed seeds are washed to remove any remaining saponins. Saponins are used in pharmaceuticals as mild cleansers. 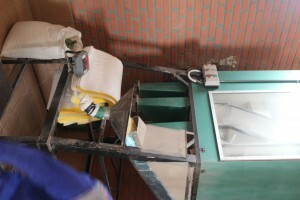 Wet seeds are quickly dried using a centrifuge machine. Workers preparing to get wet quinoa to the drying table. 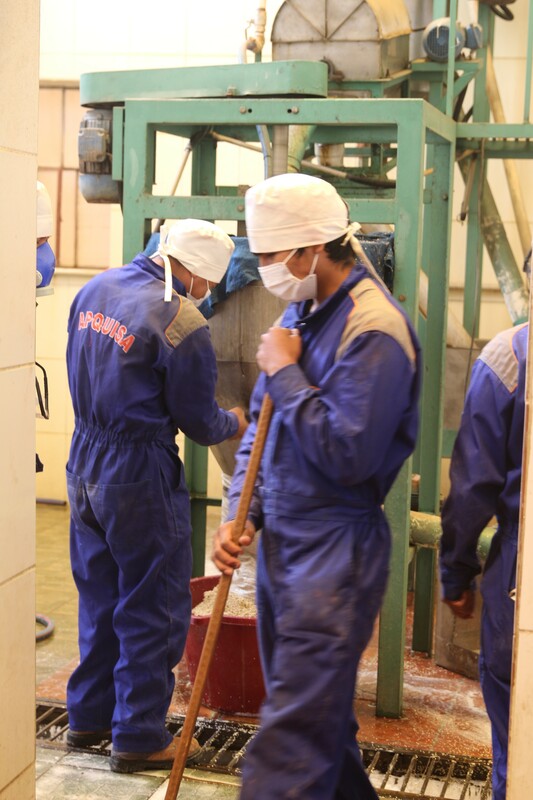 Six workers operate this plant which can fully process and pack up to a container of quinoa a week. Natural gas is used to make high drying temperatures. Once dried to 12% humidity, the quinoa then goes to the sorting stage. The sorter grades the quinoa by seed size separating the large Royal Quinoa seeds from smaller, less well-formed seeds and small debris. The quinoa is sorted into primary and secondary quinoa grades. These are exported at different market prices. Almost all of the quinoa exported to the US is 1st quality quinoa. 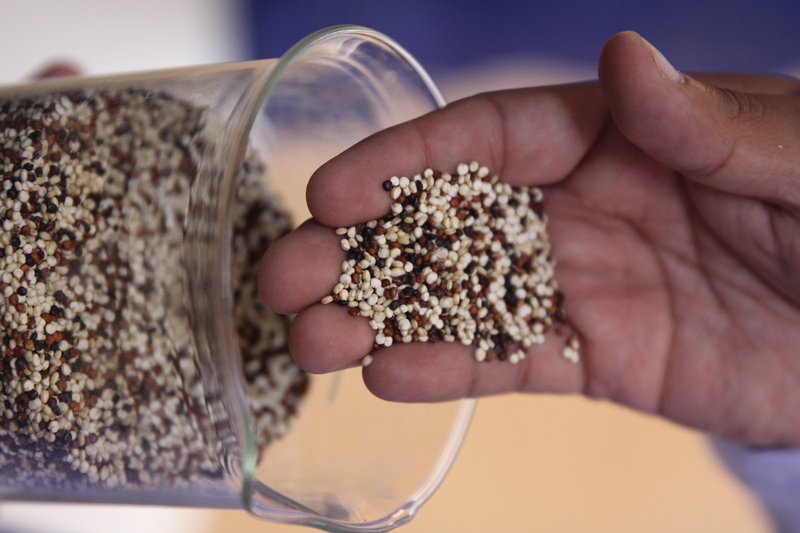 The optical scanner sorts seeds by color, separating out red, black and white quinoa. 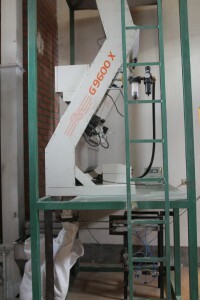 The magnetic sorter lifts out any remaining volcanic stones or dust. 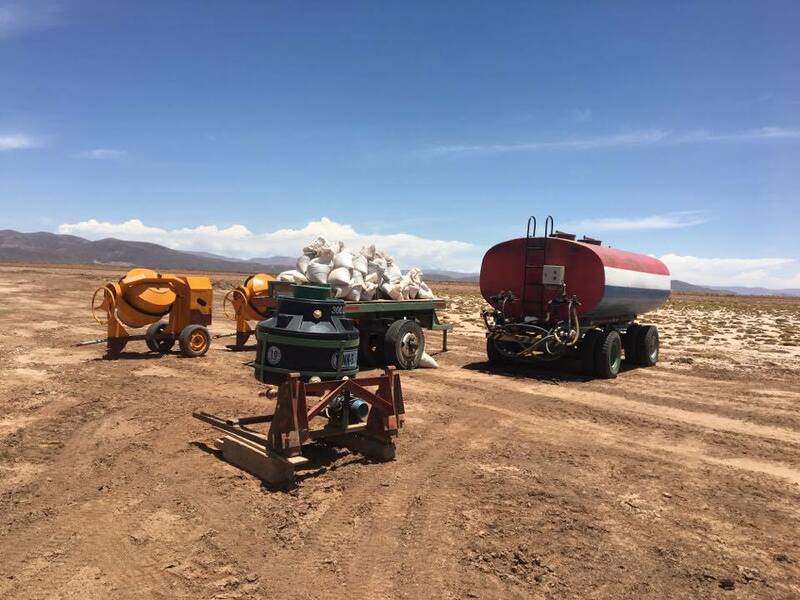 These special, mineralized soils are highly magnetic and produce the Royal Quinoa that can only be found around the volcanic salt flats of Uyuni. Royal Quinoa is sorted into a mix of 60% white, 25% red and 15% black for export markets. Finished cleaned, dried, sorted and mixed Fair Trae, organic Bolivian Royal Quinoa is now packed and ready to export to the US. 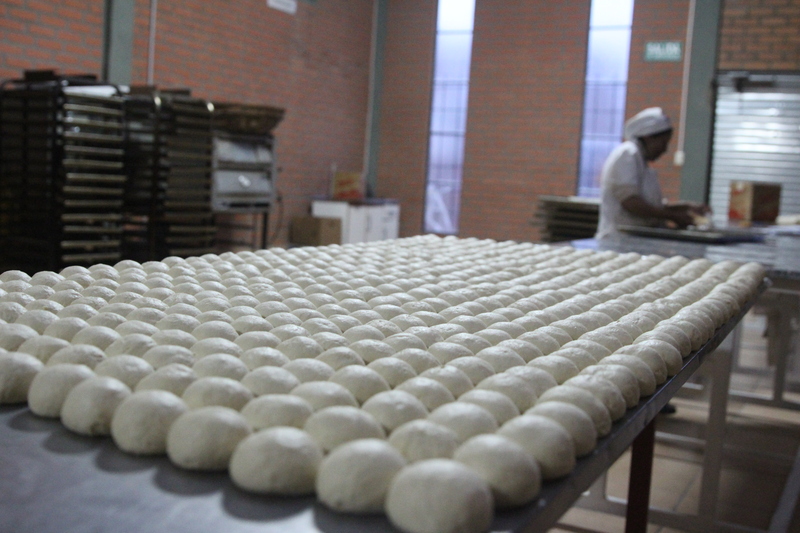 ANAPQUI’s Fair Trade, organic quinoa bread being made for local consumption in Salinas. 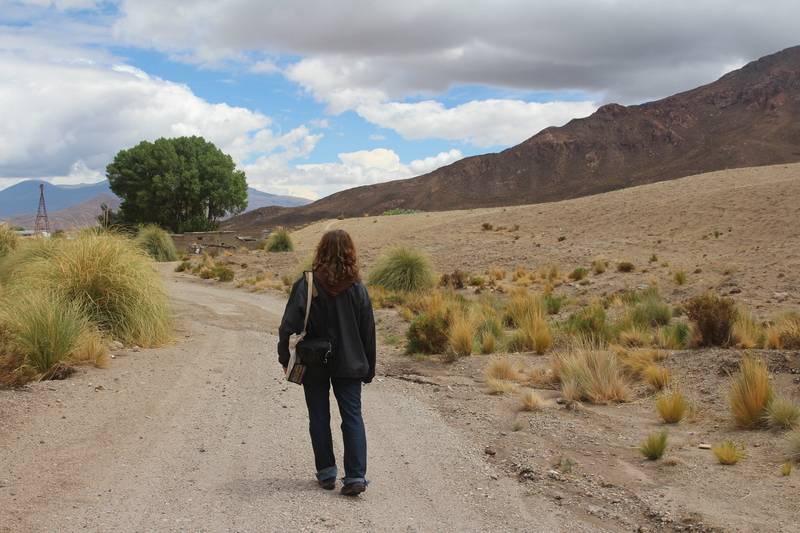 As I enter into the quinoa lands which I have grown to know so well both in my initial 2015 field research and subsequent projects and research performed in UMass classrooms, I have a better idea of needs, possibilities and opportunities. In addition, I spent several years studying women producers in the Fair Trade and coffee industries too. 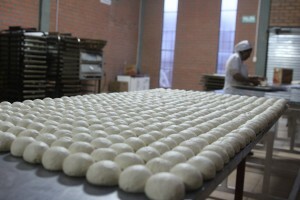 I feel I have a good grasp of the needs and wants of Bolivia’s Fair Trade women producers. I am also an economist and have a theoretical grounding in development economics. And am a natural business developer, marketer and partnership builder. I teach marketing to graduate students and started my own advertising agency out of college until leaving it to come to Bolivia in 1996 as a Peace Corps volunteer – working in Business Development. While in Bolivia I developed several businesses, mentored students in being marketing consultants, and worked with Bolivian businesses to create export and national marketing opportunities for natural foods and other products. Though I’m not an expert, I have an idea of things that can get done in Bolivia, how they can happen and what the opportunities are – especially in a US market. So how does this impact my role as a researcher? As I talk with women and hear them complain about low quinoa prices and their desire to make processed food products from their quinoa to create new incomes and jobs – it reminds me of the women coffee farmers who wanted the same thing. Consulting with Bolivia’s Fair Trade CLAC (Latin American small farmers) representative, Tito Mendoza, he confirms that there are women working with Fair Trade chocolate, sesame seed, and brazil nuts who all want to do that same. 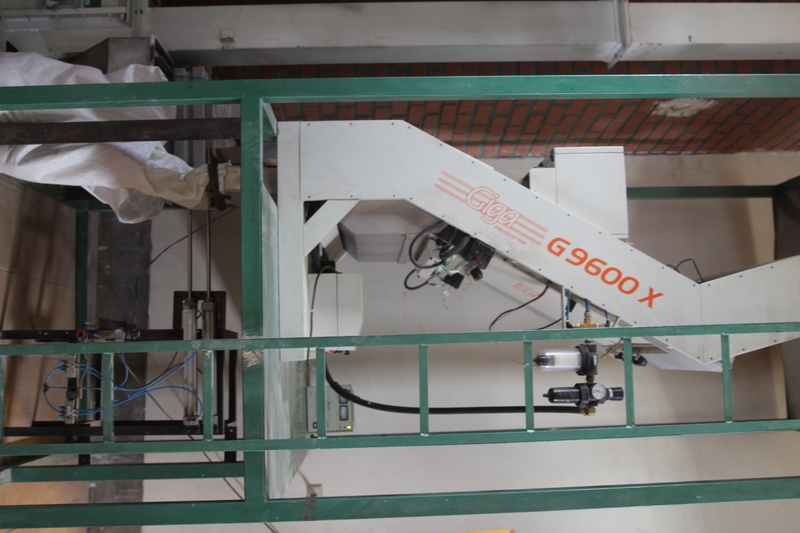 – process their raw materials to create alternative industries and not just export raw materials in bulk. The men however, I found in my coffee research and others in the quinoa industry have confirmed, enjoy the big numbers and ease of bulk export and do not want to bother with complicated food processing. Though Fair Trade is supposed to work together equally amongst gender, men tend to dominate the decisions about where community funds are invested, and usually disregard the women’s projects – leaving them with no funding or support. Their ideas stay as ideas – more often than not. In economic development theory, the next step from the mass export of raw material is the industrialization and processing of that material by the producing country – the is where technology, innovation, marketing, product differentiation, and job creation come into play. In my previous research, I have recommended that farmers invest into product industrialization. Now in the quinoa fields I ma met with women again, who want to transform product, create jobs for their community, feed the people of Bolivia and export their product to new markets. However they don’t know where to start – need recipes, equipment, training, packaging, and investment. They do have the raw materials, land, tiem and desire to make osmethign happen. One items I brought with me to introduce women to the ways quinoa is being consumed in the US is a case of KIND bars which are made in New York and have popped quinoa as a viable ingredient. The women were inspired by the bars and wanted to make their own. When I contacted KIND about this they told me that each month they had a $10,000 fund that women could assess one time if they wrote a project proposal that won a monthly crowd funding competition. Suddenly the idea of a feminine Fair Trade energy bar made from women-grown Fair Trade quinoa, brazil nuts, sesame seed and chocolate seemed feasible. There is also Fair Trade honey in Bolivia but there are some restrictions with its use as an export food that need to be explored. When I mentioned the KIND fund and quinoa bar to the women they are very excited and want to work on the project. I’m here as a researcher – not a developer. Am I overstepping my role to start forming projects here too? And where will the project take place? Who will administer it? Coordinate it? See that funds are properly invested? And of course someone needs to write the grant and get the funds in the first place. Suddenly this seems really huge. But it is also a great opportunity. 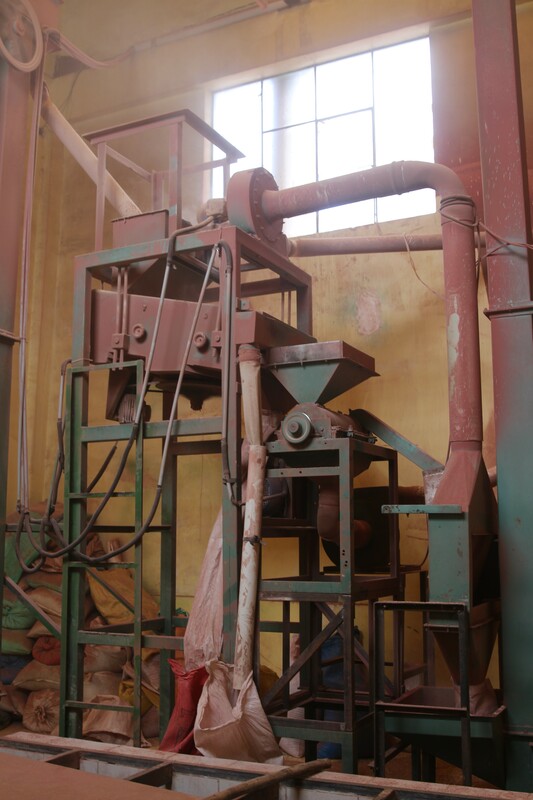 I think of the food processors I already know- making puffed quinoa, flakes, breads, cookies… Some are Fair Trade cooperatives such as ANAPQUI, or associations such as APQUISA, and others large private businesses such as Coronilla and Frencessa. Can we share resources, or contract them for the project? 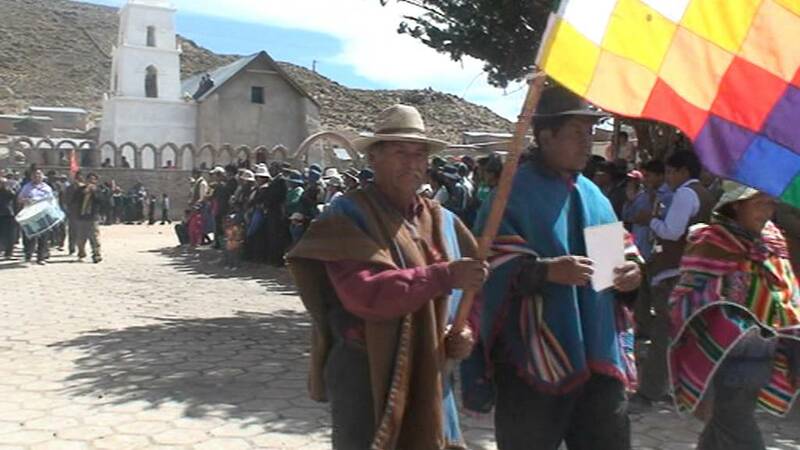 Or do we start with a quinoa community such as Otuyo – which is well formed and has resources (and also inaccessible due to mud) and begin on our own from there? Tito from Fair Trade CLAC likes the idea and is willing to introduce the project to the other women in Fair Trade. But it needs more support and collaboration than just that. I also don’t want to get too distracted from my research. However the final Part III of my research is in 2018 and that is time to get something set up perhaps – though from the US it would be difficult. Thais is an open question I am still mulling over – what do you think? DAY 21 – When is research no longer “real search”? 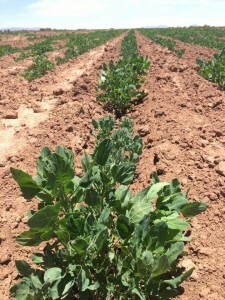 Me in Salinas – walking the quinoa trail alone? What is the role of a researcher? It can be that of a non-participant observer, like one watching Aristotle’s cave. An interpreter of images on a wall. Or is it can be a data gather. A survey taker – rushing in to measure something looking for quantity, measurements and numbers – Coming up with thousands of responses and statistical significance showing causal effects of something. It is also a gather or other’s data – a cruncher of numbers and purveyor of literature – re-combining others’ ideas in new ways. For me what’s important is the context. What is the point of view where the data was collected? How does it fit into the larger picture? What influences may cause it to be presented or interpreted in different ways? What was not reported? How was the researcher perceived by those being studied? How does this affect the information given? Looking for guidance from Robert Chambers and his “participatory rural appraisal approach” creates a place for the researcher to be a part of and apart from the people being studied. By participating in daily activities trust and experience is built. Instead of writing that farming is hard, the researchers do the hard farming themselves. This takes time, commitment and moments of unease and discomfort. But then relationships are born and friendships made. Now I’m in stage II of my research – back with my friends made over last year’s first steps into the quinoa lands. I now know the people places, stories, histories and backgrounds. That initial, self-conscious, deep reflection, first immersion is gone. I know the towns, neighboring areas, the best place for lunch and dinner, it’s familiar and feels almost too easy to just relax into what I already know and verify that it’s what I think it is. I’m beginning to feel anecdotal as I ask women quinoa farmers how their quinoa is and they tell me it’s bad, market prices are down, there are not good sales, they are owed money by their associations from past sales, they are saving their quinoa and not selling it until prices rise. The farmers want a minimum of 600BS per quintal ($86 per quintal or about $0.39 a pound) or preferably 800Bs ($.52 a pound) which is what was considered a dignified price by the Fair Trade associations a year ago. This is double the current 300Bs per quintal price most Fair Trade organizations are paying farmers for their quinoa. 300B does not cover production costs. I noted this to the Fair Trade buyers and was told that farmers exaggerated their production costs and can actually accommodate quinoa production at 300Bs. 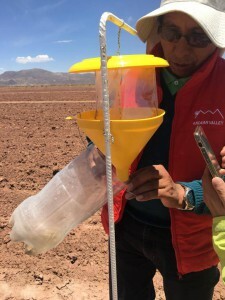 Seeing that just for a 3-acre plot (1 hectare) that produces about 5 quintals of processed and cleaned quinoa there is a $100 cost for llama manure, $30 cost for pheromone traps and $100 cost for paid labor, $230 total – the numbers do not match up. At current prices of 300Bs a quintal total earnings are just $214. 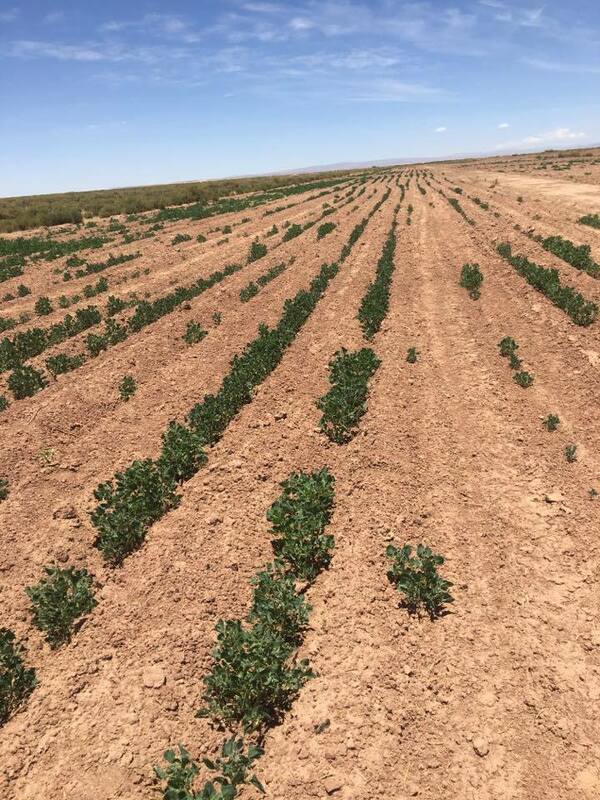 For a year’s worth of work, the farmer makes $16 per hectare of quinoa planted. In the heart of the quinoa lands farmers are cultivating about 8 hectares each. This is much less than the 15-20 hectacre plots being managed when quinoa prices provided a living wage. 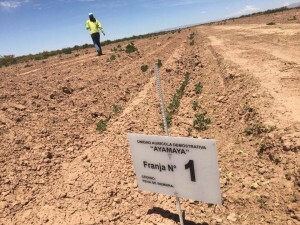 At current planting rates, the total yield for the year is about $128, which in Bolivian currency is enough to sustain a family of 5 for about a month. When I tell this to the buyers, they explain that farmers need to improve their yields which the buyers are working on helping the farmers to do. However – the delicate lands of the quinoa region do not bode well with massive production – they quinoa is a heavy feeder, pulling vast amounts of minerals and nitrogen out of the earth. These take time to replace. So it is an evolving problem-solution story. 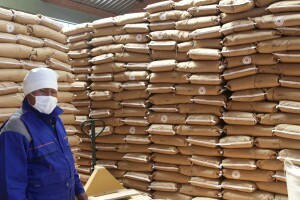 After eight years of ever more quinoa production and ever higher prices – increasing at a rate of 20% a year and hen plummeting in 2015 by 300% in just two months and staying at this low price level – this is the first time, that issues of soil loss, unpaid expenses and economic instability have emerged. But where is the research here? I have piles of surveys, but the high school seniors who used to do the surveying for me are away on their two-month summer vacations. I can visit quinoa communities for observation and to offer women’s workshops but the rains finally came but now the quinoa communities are left inaccessible as the slippery dirt roads that climb the vast mountain scape become impassable. I can offer workshops in the (accessible) larger quinoa towns, but many farmers are not present as this is time for families to be together and many have left for the cities and abroad in search of better work. In addition, my NGO counterparts have left as their organizations have moved onto other projects. I have lost a lot of my infrastructure and backing – and am now here in towns with friends, stories and observations. I feel lucky and lot at the same time. I worry about my data. My work is about the life of the women and I worry my friends are not representative of that, or that the few people I am having informal conversations with in passing – the woman on the bus, the indigenous leader in the plaza, the lady butcher – who are all women export quinoa farmers – are not a significant data base. I don’t want my data to be anecdotal (not really accurate or measurable) and I also don’t want to be missing important data this is not being collected. I want to do the study that was done before one again, but now the time has changed. Do I plug away with my old research method anyway trying my hardest to get the surveys out myself, set up workshops on my own? Or is there something different I can be doing instead? Or is a hybrid of a bit of both – some surveys and workshops and more participant observation, informal interviews and modified workshops? The clock is ticking. My friends are sympathetic and trying to help out – they introduce me to a doctor that I can tag along with for a rural site visit and offer a workshop to women while he is checking baby weights, another engineer offers to take me to his town where there is a women’s group I can meet with and hold a workshop with. But I already started with this type of research, working with Tito as he visited Fair Trade communities – spending a few hours in each one. And I feel that a few hours spent collecting data in a community creates more questions than answers and does not give me the deep understanding I need to properly interpret the data nor does not build the trust I feel when I’m with a community for several days. It’s just numbers – not understanding. DAY 20 – Opinions and Perceptions versus facts. 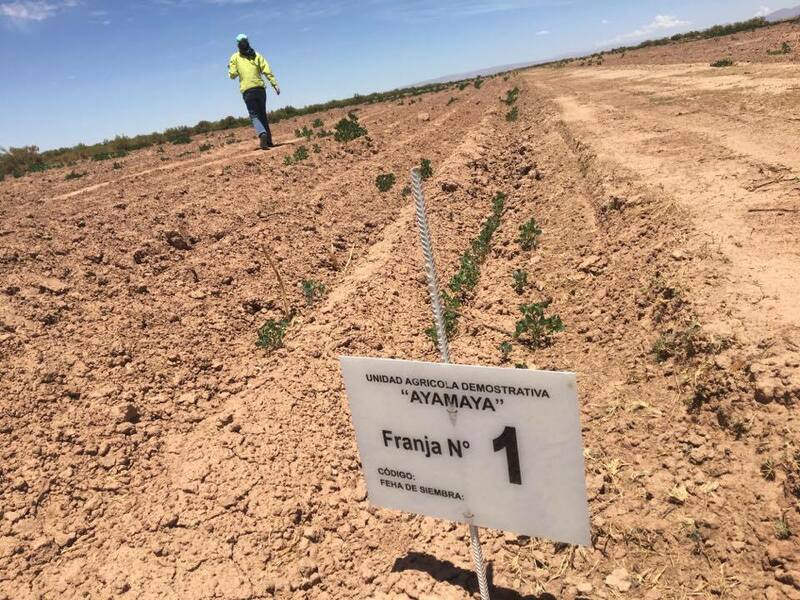 On day 16-18, I presented a compilation of different responses I received over the past months from a multitude of people working on different areas of food production in Bolivia. This was done to create a perception of how and where the county is in general in its approach to a possible food crisis. The is information was gleaned via informal interviews and casual conversations with many people. Since it was not a direct part of my official research on the wellbeing of women quinoa growers, it was not conducted in a strict academic or journalistic setting with fact checks, researched, verifiable data, etc. It was presented more as a mulling over – and perhaps something for more in-depth academic or journalistic research in the future. I did not publish the names of my informants nor quote them because our conversations were more informal. 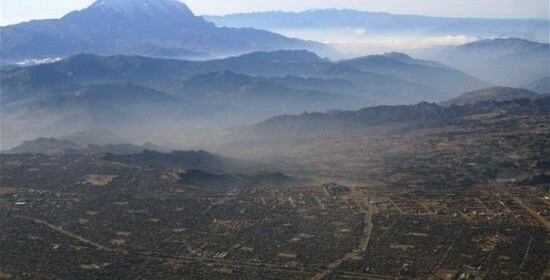 As with any moment of casual conversation, there were some inconsistencies and generalizations in how some folks remembered or understood the current conditions here in Bolivia – the biggest one being the answer to the mystery: Where did all of the NGOs and foreign development programs in Bolivia go? Contrary to popular belief that the Evo Administration kicked them all out (as was my personal experience working with the US Peace Corps when they were banned – and still are – from the country) – my friend, colleague and fellow Bolivian scholar, Linda Farthing, points out the decline was in fact largely the result of Bolivia’s recent positive economic growth which lifted it off the World Bank’s list of nations most in need of assistance. Though some NGOs such as the Danish IBIS, and US USAID and Peace Corps programs were banned by Morales, many NGOs, explained Farthing, simply saw more need (and funding) for programs in Africa. So they closed their Bolivia programs to attend to other countries with lesser economic growth and greater need. Interesting! Big thanks to Linda for clarifying this. I see the holes that these NGO programs once filled – though I also see community organizing and ownership filling them in as well. It would be interested to learn more about the aftermath of development when progress calls and one’s poverty is no longer fashionable (nor fundable). 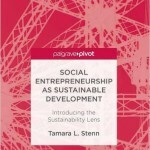 Ideas of self-determination and empowerment arise as one thinks of the cycle of dependency that charity can build. Good fodder for a future paper on the aftermath of development.